A very special thanks goes out to Robin Estes for graciously allowing the use of photos from her CD archive! 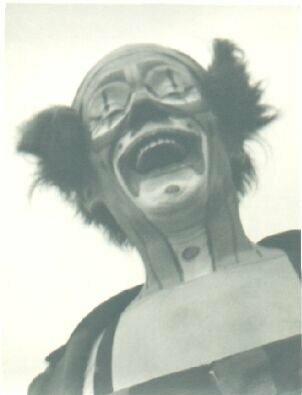 Paul Jung, as prolific a producing clown as Lou Jacobs and responsible for many great cartoon-style gags including the Reducing Machine, the Steamroller and the Adam Smasher as well as large scale ring gags like the Baseball Game and his famous Army gag. 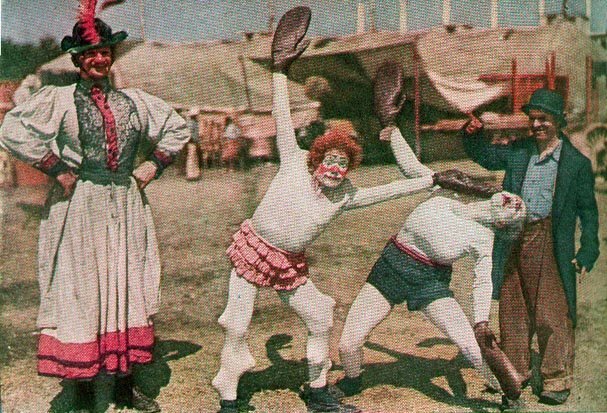 The unique auguste makeup of Belgian born Chesty Mortimer (Paul Mortier) and a photo that shows him flanked by an unidentified clown in drag as well as Bluch Landolf (who did a come-in bit with a broom that strongly influenced Otto Greibling's pie plate routine) performing the Boxing Gag with and unidentified partner. It's hard to be certain but I believe that Chesty's presentation of this gag pre-dates the very popular version done by Otto Griebling (widely credited with creating the routine) and his longtime sparring partner Freddie Freeman first on the Cole Bros. and later on the Ringling circus. 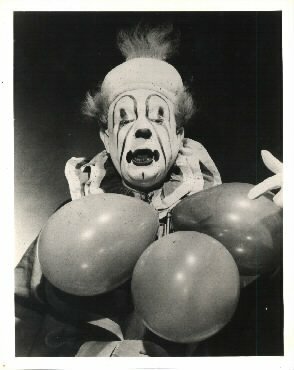 At any rate, this photo was used by artist James Shucker as the source for the illustration of the Boxing Gag in Felix Sutton's 1953 book The Book of Clowns. The 1931 Hagenbeck-Wallace program lists the boxing gag as being performed that year by Poodles Hanneford and Otto Griebling. This would pre-date Otto's version of the Cole show a few years later. It would be interesting to know how this version compared to Otto performing it with Freddie. 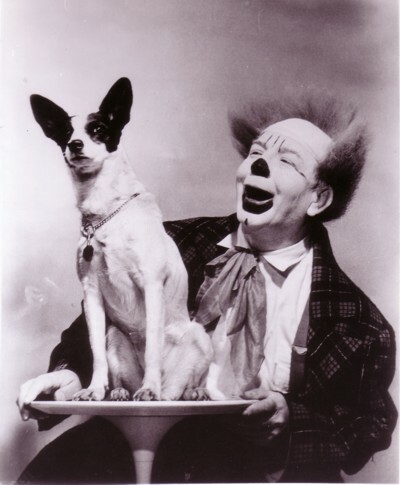 And just why is it that Otto could only perform the gag with other equestrian clowns? 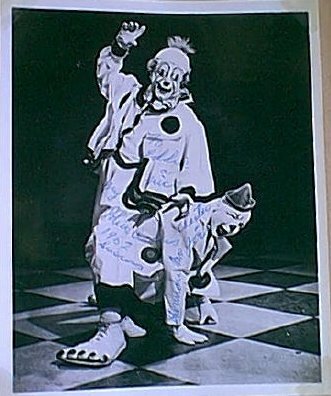 All too often VERY imitated but never duplicated, the very influential makeup and costume of the quintessential mid-century "picture clown", Mr. Harry Dann. 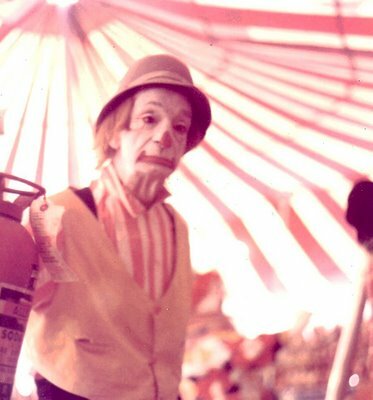 Longtime fixture of the Cole Bros. Clown Alley, Horace Laird. 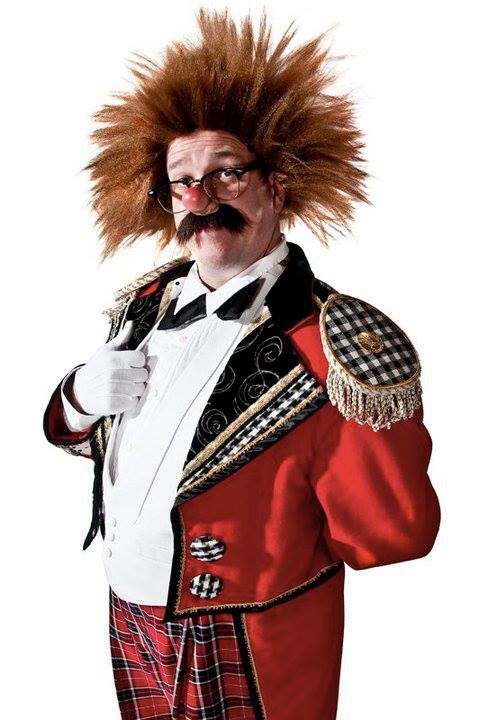 Joe Vani's longtime comedy partner and former member of the Kenneth Waite Troupe, International Clown Hall of Fame inductee Chester Sherman. A young Mark Anthony in transition, having retired his whiteface. He's not yet wearing the trademark dog collar and bell and from the position of his hand we can't see whether or not he's added the tongue to his makeup. 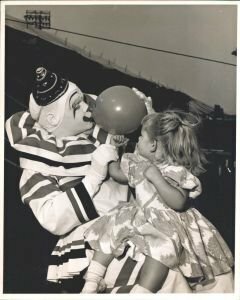 Possibly taken on the Clyde Beatty Circus. The other day I posted some photos of famed Clown Cop Abe Goldstein rather late in his career. Here is one of Abe back in his prime. Two photos, one of a European clown (possibly Spanish) known as Pinicchio, the other of Emmett Kelly. Both were taken at Luton in England - June 1939 on the Bertram Mills Circus tenting tour. Three months later, the British were at war! Joe Vani of the Sherman Brothers. Joe had 7 dogs through the years, all named Lucky. Abe Goldstein was one of the best known and funniest of all circus clown cop characters. 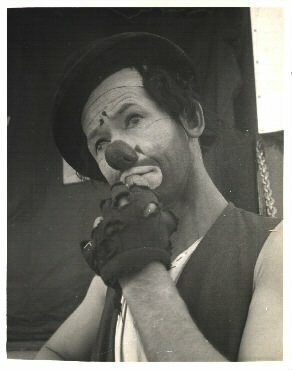 These are not the greatest photos of Abe, but here are two snapshots from very late in his career at Gil Gray's Dr. Pepper Circus at the Texas State Fair, I have no idea of the year. The second is Abe, Dime & Connie Wilson and Freddie LeVine. 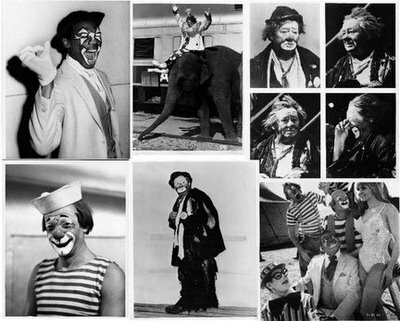 A series of photos, from the upper left: Reggie Montomery, unidentified (possibly Janice Gillespie) , four great photos of the very expressive face of Master Clown Otto Griebling, Mike "Coco" Polikov, Otto and unidentified clowns on unidentified show. 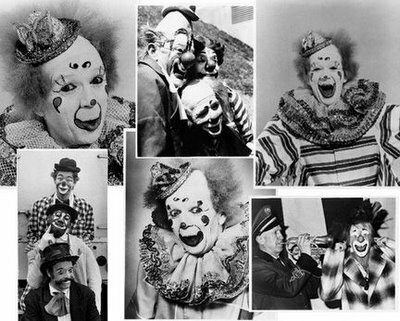 Starting from the upper left: Master Clown Bobby Kaye (Robert Smiley), Master Clown Lou Jacobs, Mark Anthony and Duane "Uncle Soapy" Thorpe, Bobby Kaye again, two unidentified early Clown College grads posed with Reggie Montgomery in the center, another Bobby Kaye and we finish up with Merle Evans and Mike "Coco" Polikov. Nineteen year old Joe Vani answered an ad looking for an experienced acrobat to fill an opening in the Kenneth Waite Trio. 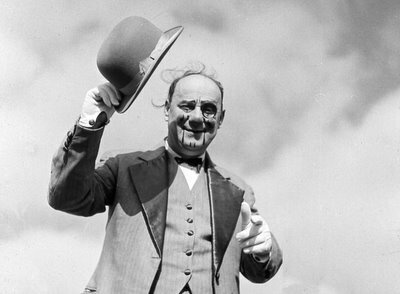 The other members of the trio were Kenneth Waite and Chester Sherman. As part of the trio, Joe spent 18 years watching, learning and developing his skills as a performer. When Kenneth Waite retired, Joe and Chester formed a partnership that became known as the Sherman Brothers. So closely were the men identified as brothers, that many newspaper articles identified Joe as Chester's "baby brother". The Sherman Brothers entertained circus audiences across the United States for over 43 years (1932-1975). 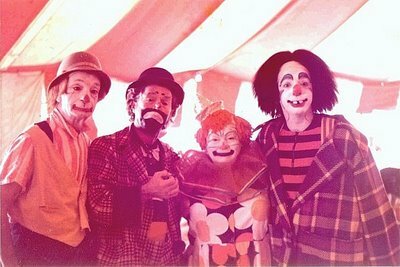 They toured with the Howard Circus, the Pollack Brothers Circus, Carden-Johnson, and The Orrin Davenport Shrine Circus. 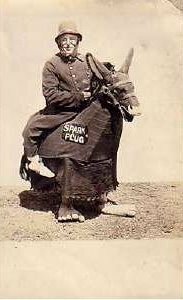 Tlhe Sherman Brothers performed in over 139 different Shrine Circuses. 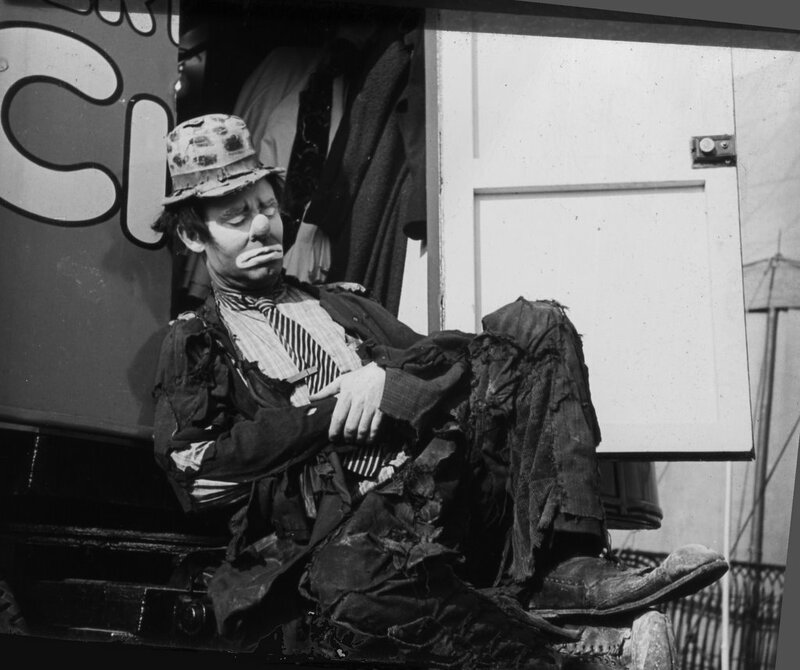 Joe and Chester worked with all of the greats: Otto Griebling, Emmett Kelly, Sr., Felix Adler, Shorty Flemm, The Black Brothers, Jimmy Davison, Bobby DeKoe, and many others. While they learned from those wonderful clowns, they also developed their own classic routines. They remained active partners until Chester passed away in 1976. Eddie Dullum's exclamation point is a seeming nod to Ernie "Blinko" Burch's musical clef. 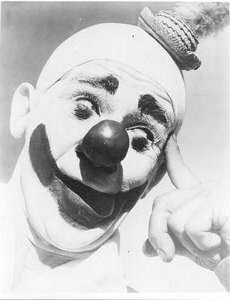 Another clown from the period used Harry Dann's makeup EXACTLY but added a question mark between the eyebrows. Today's neat whitefaces might consider reviving this forgotten element of mid-century makeup design. The very funny comedy team of Harold Simmons and Gene Randow. Many of their gags centered around their identical makeup and costumes as well as their height differences with bits like Harold carrying an enormous potted plant followed by Gene carrying a very tiny one. 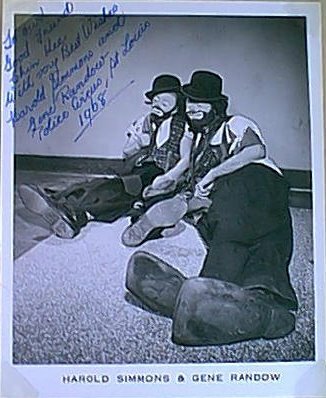 A longtime fixture on the Shrine ciruit this photo was autographed at the St. Lois Police Circus in 1968. 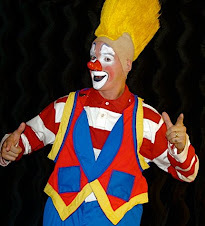 Clown Cop Joe "Jojo" Lewis. 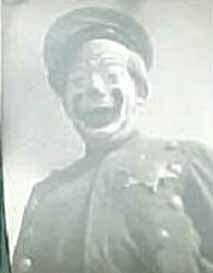 Along with Abe Goldstein, Lewis is probably the best known of the old-time clown cops. 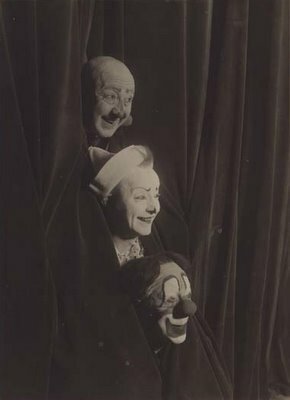 The Fratellini brothers, Francois, Albert and Paul, were the first and undoubtedly the greatest of all classic circus clown trios. 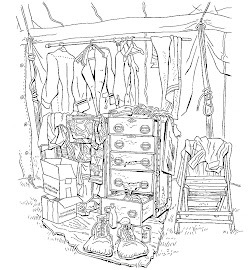 They grew up in the circus, where their father was a trapeze artist and acrobat. They worked as clowns in pairs until their eldest brother died in 1909, whereupon they formed their unique triple act. 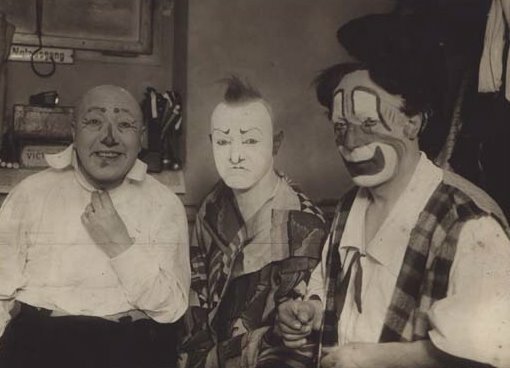 Their three characters provided clear, effective contrasts: Francois, the elegant whiteface clown; Albert, the grotesque auguste, and Paul, the "contre-auguste", half-way between them, sometimes taking one brother's side, sometimes the other's. 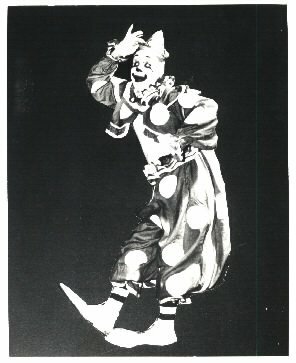 The makeup Albert designed for himself—high black brows, exaggerated mouth, and bulbous red nose—single-handedly redefined the role of the circus auguste, influenced scores of later clowns (most prominently, Lou Jacobs) and is responsible for the American auguste as we know it today. The brothers toured in Europe and Russia before joining the Cirque Medrano in Paris, where they were widely acclaimed and admired. 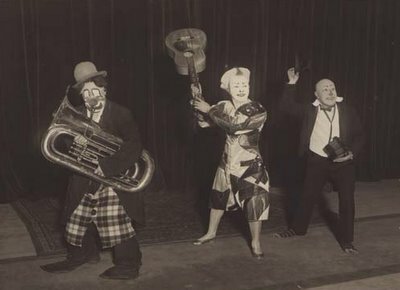 Many of their children became successful clowns, notably Paul's son Victor (1901–79) and granddaughter Annie (1932–97). 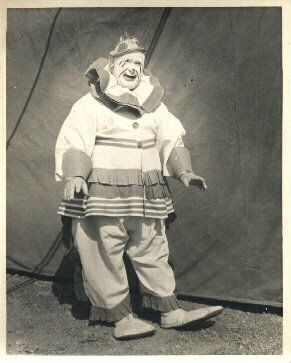 Longtime circus clown Billy McCabe in his Harry Dann inspired whiteface during the early part of his career. 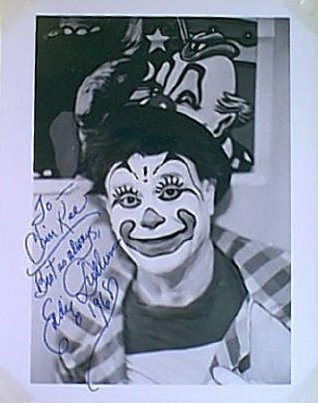 A great video (available on Ebay from Bobby Hakes) shows Billy later on in his career, working on Circus Vargas, pontificating on several circus and clowning related subjects as he applies his makeup.